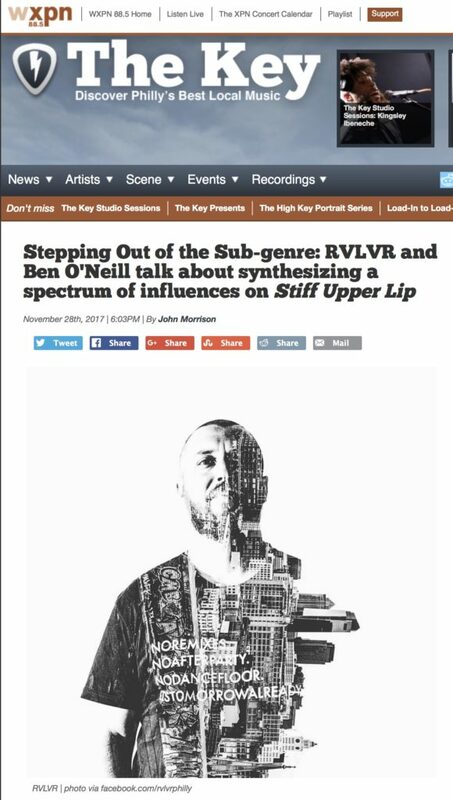 WXPN The Key’s John Morrison sat down with RVLVR, Ben O’Neill and Starkey to discuss the upcoming RVLR & Ben O’Neill collaborative Stiff Upper Lip EP, released this Friday, December 1st. They discuss the creative process of making this release, working with analog signal processing and a hardware mellotron, influences and more. Alongside the interview, they’re also premiering another track from the release, Stardust, which Starkey called “one of the best songs of the year, hands down.” Check out the full interview here. Preview Stardust below.